On Saturday December 9th Chambers FCCLA hosted their second Coyote CHUM party with students in grades Kindergarten-2nd grade. FCCLA members helped these students in crafts, making goodies, and participated in a variety of games with them. All that attended really got into the holiday spirit. On December 1st 2017, Chambers FCCLA hosted a Soup Supper during the CWC vs OC games. Tessa Metschke and Mary Walnofer also hosted a Red Out for their STAR FCCLA project. They asked all fans to wear red to show their support for FCCLA and FACS classes. The girls then read off facts about these programs and will conduct a project on these events. 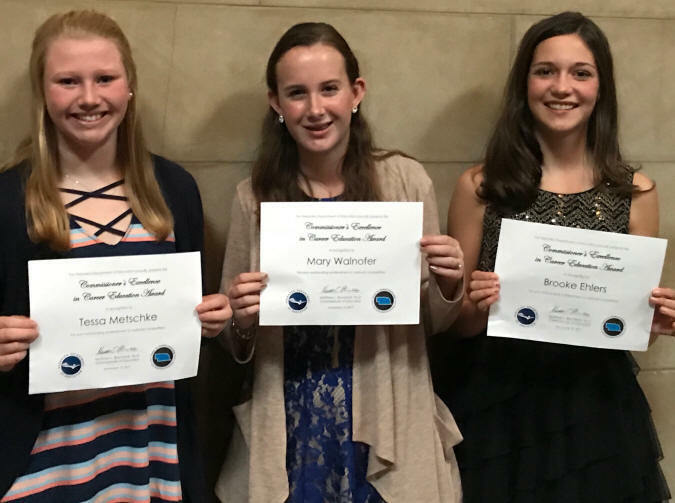 On Monday November 13th three freshmen girls, Tessa Metschke, Brooke Ehlers, and Mary Walnofer, were recognized by the governor. These three girls were recognized for receiving top honors at the National FCCLA convention in Nashville this summer. They competed against individuals from across the nation and received the highest score in their category of their STAR projects. Tessa Metschke competed in Teach and Train. Mary Walnofer and Brooke Ehlers competed together in the category Food Innovations. Congrats to these girls! 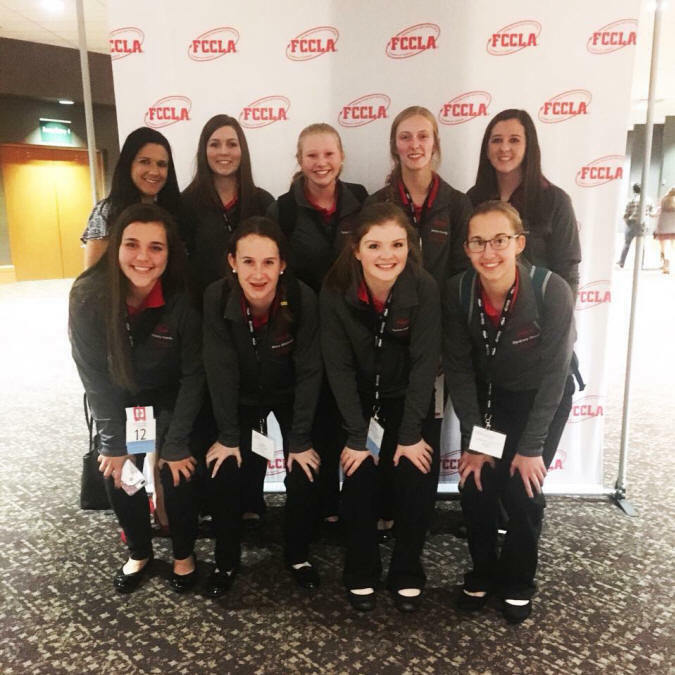 November 17th-November 19th FCCLA officers: Jamie Koenig, Kyra Farewell, Sydney Beed, Jordan Latesch, Kassidy Hoerle, Tessa Metschke, Ryann Haburchak, and Mary Walnofer attended the FCCLA National Cluster Meeting. Tessa, Jamie, Kyra, Ryann, and Kassidy participated in the Knowledge Bowl. They competed against sixteen different schools and placed third in their division. All members attended multiple workshops regarding leadership skills, STAR projects, and community service. Students also got to network with members of FCCLA chapters from across the nation as well. Students were also able to visit and get in a history lesson at the Oklahoma City Bombing Memorial during their downtime. Students are excited to bring back ideas they can instill in our school and community!